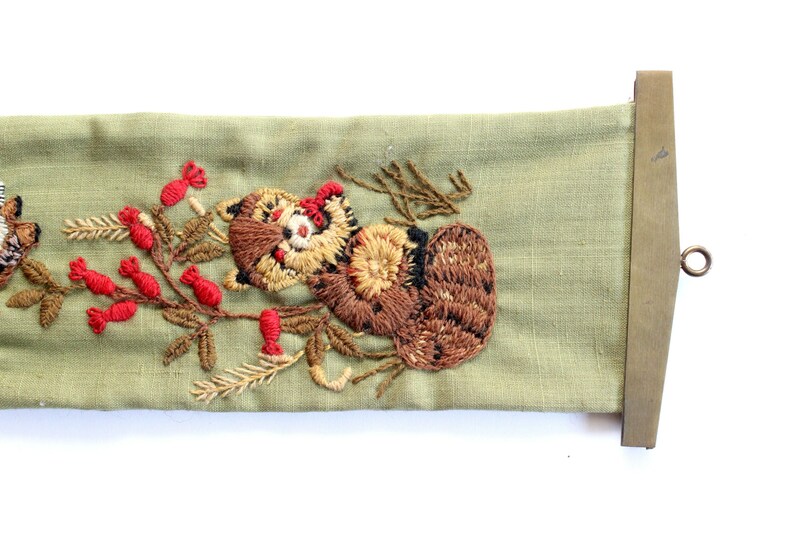 Vintage embroidered wall hanging. 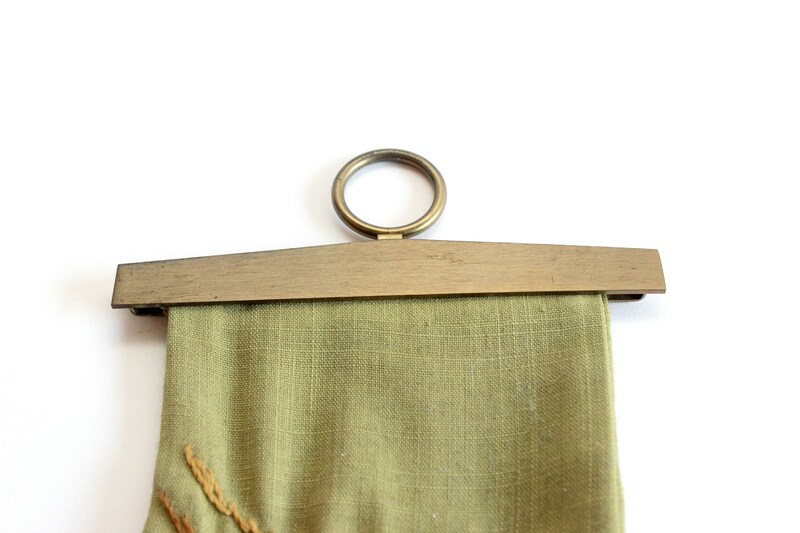 Adorable handmade wall decor with solid brass hardware at the top and bottom. Hardware makes for easy hanging. 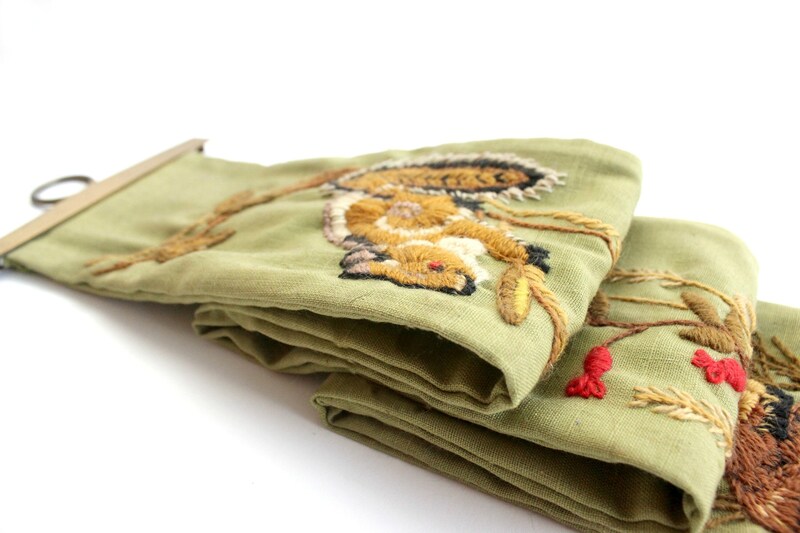 Made out of a sage green linen and embroidered with yarn. 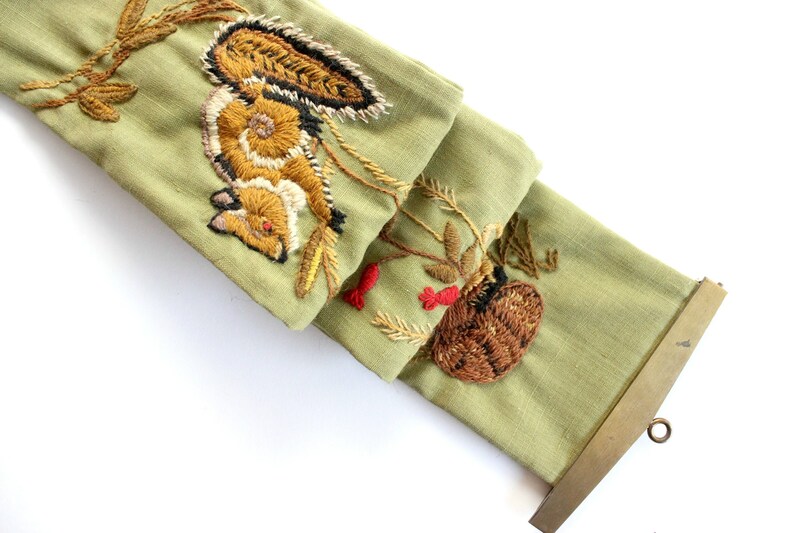 Whimsical design shows little forest animals climbing branches and eating berries. Animals include a fox, squirrel, bunny, and raccoon. Yarn colors are earthy shades of beige, brown, tan, yellow, green and red. 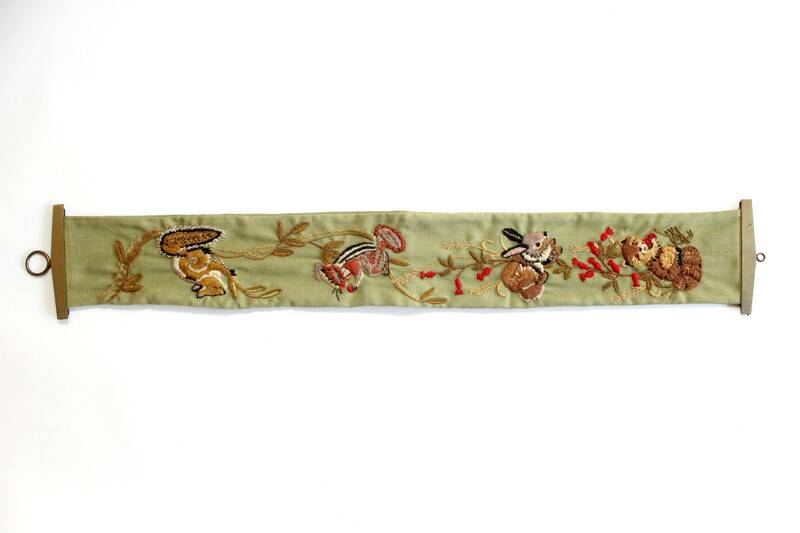 This wall hanging would make great cabin decor or look cute in a woodsy themed nursery! Good vintage/used condition. Wear and tear consistent with age. 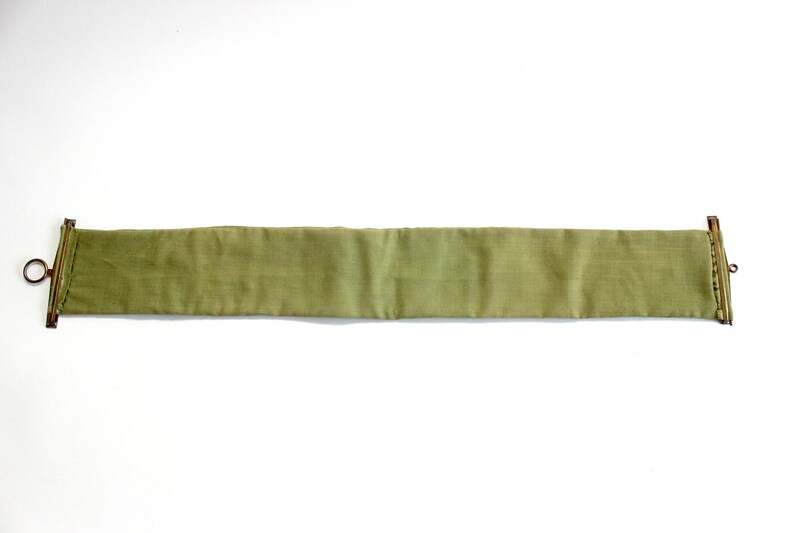 This item is handmade so natural imperfections can be seen. The finishing on the back looks a little rough but the threads are actually very strong and are holding tight. Polishing of the hardware may be desired. 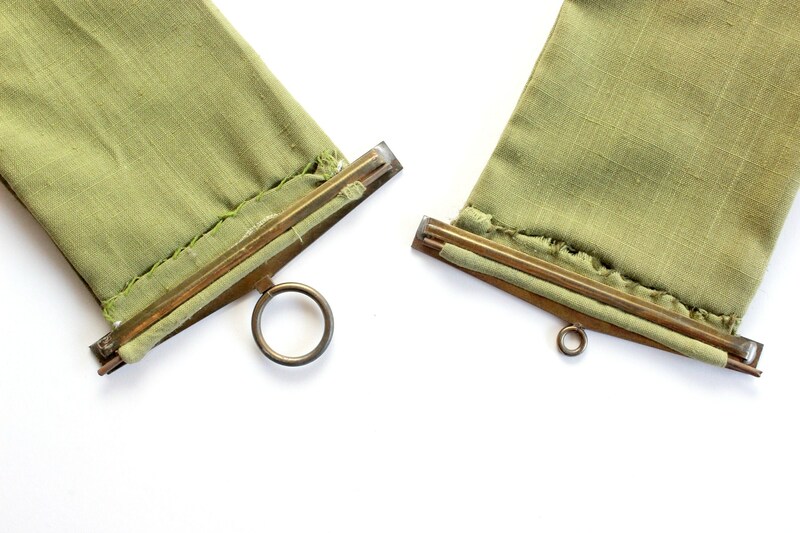 The overall measurements including hardware are 6 inches wide and 38 inches long. Thickness is about 1/4 inch.